I really have no idea what’s responsible for this odd sweptback cocoon. 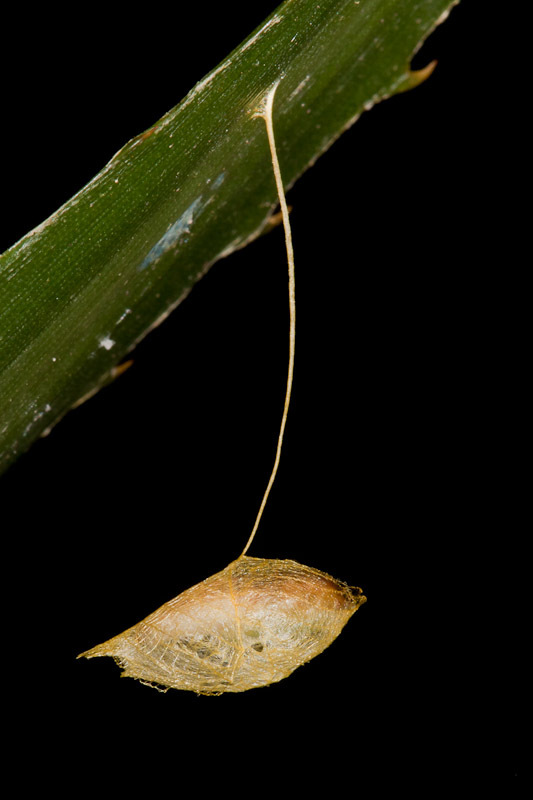 I have photos of a very similar pupae from Costa Rica, orange/pink case suspended as well, anchored to an epiphytic plant. We’re waiting for the moth or other insect to emerge from the black pupae inside (if it is still there and has not been parasitized. Have you ever received some info on yours? A family name would be great! Hi, Carlos. No, I never identified this cocoon. Hi again, Troy. Had a freind identify the coccoon. It belongs to the moth family Urodidae. Was that based on just the cocoon or from what emerged?